Q: What can I expect in a consultation, coaching or reading? A: Every session is unique. Each client comes in with a different interest, issue, challenge or situation asking for some direction or advice about. Sessions are personal and confidential and tailored to meet the needs and beliefs of each client. Clients would call or email to book an appointment and then either come to her office in person or do a consult over the phone or via Skype. It is very much like a traditional coaching session. However unlike traditional coaching, her intuitive and energy medicine skills allow her clients to transform and shift in just one hour. Common topics include life direction, career coaching, relationship advice, parental support, future forecast, business development, strategic planning, spiritual development, angelic communication, inspired ideas, soulful solutions, and tools for mind/body/emotional change, shifting limiting beliefs. Again, depending upon the client’s focus, the work would then concentrate on those areas. Jennifer has simply defined each session separately on her website so people who were searching for help could find what they were looking for and easily identify their need. Most people are on the internet not really sure what kind of service they need but know they need help of some kind. NOTE: Jennifer Clark is not a medical or psychological health professional and her readings and intuitive coaching is legally considered entertainment. She offers you powerful spiritual support services to help you align and shine from the inside out! Please read General Disclaimer at the end of this page. A: People call Jennifer psychic and refer to her as a psychic although she prefers the word intuitive. Also, her work typically goes beyond a traditional psychic reading. Her work allows her clients to move from entertainment into experience; a soul experience. Jennifer wants her clients to leave her office feeling hopeful and empowered with knowledge and practical how to’s and having left her office healed the blocks to their success. The word psychic derives from the Greek word “psyche” which correctly translates to mean “soul”. Jennifer has a unique and powerful intuitive ability to tap into your soul’s purpose, its gifts, talents and abilities, its contracts and agreements, its karma and destiny. This ability help her see and feel things for her clients to empower them and inspire them to make the necessary changes they need in their lives; to be become personally prepared and response-able. Jennifer is very direct and concrete in her analysis and combined with her unique and valuable intuitive skill sets she adds the missing ingredient that is often lacking in traditional life coaching and psychic readings. With her powerful gifts, Jennifer will help you map out your future and then give you the tools to help you create it. Jennifer always assigns homework: books to read, workshops to attend, people to see etc to propel her clients along their journey after they leave her office. If her client does not believe or want the intuitive psychic advice then she tailors her approach to meet that client`s needs. A: Sessions are 1 hour. A: Consultations , coaching and readings and Healing sessions are are $111.00 CDN plus 13% HST = $125.00 CDN. A: Payment can be cash for in person sessions or cheque, interac electronic transfer, credit card or PayPal using Jennifer’s PayPal link. Q: What hours does she work? Q: Does Jennifer offer any evening or weekend appointments? A: At this time, no. Jennifer is a actively teaching her signature 11 month Angelic Ascension Program to a dedicated group of invested students. Weekends are reserved for teaching her 11 month Angelic Ascension Program. She fully realizes that these hours may no longer work for some of her working clients. At this point in Jennifer’s evolution as a catalyst and soul-utions provider, she works with people who recognize and value the experience and insight she offers them and who are serious and committed on their path of awakening and healing. These people generally make the time to come to see her for their own personal growth. However, Jennifer does host monthly group M-Power Meditation & Message Nights for the general public where you can tap into some of her unique Jen’s Zen during the evening once a month. They are hosted usually the second last Thursday of the month in Barrhaven. Q: How can I book an appointment with Jennifer? A: All of Jennifer`s appointments are now booked online using her convenient and confidential online booking system. Appointments can also be changed or cancelled this way as well. Q: Where is Jennifer located? A: Jennifer lives and works in Ottawa, Ontario, Canada. Her office is located in the Carleton Heights area just behind St. Pius X High School. Her postal code is K2C 0H4. The exact address will be provided once you book your appointment. A confirmation email with the details will be sent to the email address you provided. If travel is a problem, Jennifer offers telephone or Skype sessions as well. Q: I don’t live in Ottawa. How can I get to see Jennifer? A: Over 30% of Jennifer’s current clients live outside the Ottawa area all around the world. Telephone or Zoom sessions can be arranged by appointment. Long distance remote consultations are as successful as in person ones. Because everything is energy, Jennifer does not need to be in front of you to sense or feel out the situation, person or condition. She has successfully done readings over the phone, via Skype, over the radio, over the internet for radio and television programs. For telephone sessions, simply book a consultation with Jennifer . On the day and time of your scheduled appointment, call Jennifer on her office number 613.297.2850 and be in a quiet space if possible. Note that any long distance charges are the client’s to incur. Jennifer would be recording the session electronically via an MP3 file. Note that payment for long distance sessions is required at least one hour in advance of the appointment. Clients who prefer the telephone have a good long distance telephone plan as we’ll be on the telephone for 1 hour or use an inexpensive telephone card like CiCi. For Skype sessions, Skype is free for both users. You need a Skype account which is free to get and access to a computer or laptop. Simply book a consultation with Jennifer and advise her of your Skype name. At the appointed time, she will Skype you and record the session via an MP3 recording. Note that payment for all long distance sessions is required one hour in advance. Jennifer can also use Zoom for free online video conferencing. If you choose a Zoom consultation, Jennifer will send you an invitation to a Zoom chat room. Otherwise, Jennifer is happy to share her wisdom and knowledge with others and is frequently asked to visit other communities to do private consultations, personal healing and workshops. Please contact Jennifer directly to invite her to your community. Q: Can I bring someone in with me during my consultation? A: Yes, Jennifer is limited to the number of people that can accompany you simply because her office is small and designed for intimate conversation. You may bring 1 person with you but Jennifer will not “read” that person or answers questions on their behalf. Please let Jennifer know you are bringing a friend with you so she can set up the necessary amount of chairs. If two friends want to book sessions, then they can book 1 hour individual sessions back to back and sit in with each other. Note that there is no waiting room at Jennifer’s office so if each person will be sitting separately, then the other client will have to leave and then come back at their appointed time. It is generally not recommended parents bring children into their readings either. Q: Do you do consult with couples? **Note: This service is not designed to replace traditional counselling or therapy. Jennifer is NOT a licensed therapist or counsellor. As an Assertiveness Coach and Spiritual Teacher, she can help a couple create win/win loving strategies for success. Note also that she will not read two people at once. If each of the couple’s want an individual reading, then they would have to book 2 sessions individually or back to back and they can then sit in each other’s sessions. Q: Do you work with groups? A: Yes, Jennifer has frequently been called in as an “advisor” to group work ie businesses and/or ideas that are emerging. Like a consultant hired to support or review a business model, Jennifer brings her unique risk management, business, Psychological Health & Safety and intuitive gifts to help create effective strategic plans. Fees would depend upon each situation. Please contact Jennifer directly. Jennifer has also been invited to homes and businesses to offer workshops and lectures on a particular topic. Please contact Jennifer directly for more information. Jennifer however no longer does group “readings” unless for an event or public talk or during one of her monthly M-Power Meditation & Message Nights in the Ottawa area. Her work is personal and insightful and designed for self-growth, expansion and empowerment. However, Jennifer has done group message nights where she answers one question from each person in the group depending upon size of the group and time allowed to do so. If the time and size does not permit each person to have a question answered, she will then draw questions from a hat. Q: Do you work with children and teens? A: Yes, this is one of Jennifer’s purposes and passions. She has been working with children and youth most of her career on an off for the past 26 years in various forms. She writes inspirational children’s books and conducts empowering workshops for kids and teens. Her youngest client is 3 years old. Parents can come in on their own and ask her questions about them or if they are 10 yrs+ they can come in with a parent and Jennifer will do a 30 minute reading for them talking to them about their angels, fairy helpers, their magical creatures like unicorns and dragons. Children really enjoy meeting her. Jennifer loves to hear their questions about life, the universe an everything. Jennifer is also a Girls’ Talk Facilitator certified by The Centre For Addiction & Mental Health focusing on teen mental health. She was a Youth Worker for the City of Ottawa Parks & Recreation department summer program where she was recognized for dealing with disadvantaged youth. She has an ability to inspire teens to a greater purpose, give them a sense of belonging and teach them tools to overcome fear, anxiety, anger, depression and low self-esteem. Depending upon the maturity and age of the teen, sessions can be 30 minutes to 1 hour in length. Healing sessions are an amazing way to help your child or teen. Jennifer wishes more parents knew about this type of transformative work as it has proven extremely successful in shifting patterns and behaviours. She prefers to offer her healing sessions for young people long distance so the child does not actually have to sit with Jennifer. She will connect to the energy of the child/teen, ask permission to offer them help and then interconnectedly do the healing work. For teens aged 13+, she requires their own permission to do the healing work. She has had amazing results with this method helping young people resolve anger issues, rejection, fear, help with allergies and physical health conditions. Because young people absorb the healing work so quickly, Jennifer frequently is able to do 3 healing sessions in 1 appointment. Parents would book an appointment for a healing session, pre-pay for the service and provide the child/teen’s name and age. Once the payment has been made, Jennifer will then schedule the healing session and provide the results in an email to the parent the next day. Q: Do you record your sessions? A: Yes, as a courtesy to her clients, Jennifer records the sessions electronically on an MP3 recording using Audacity which she will email you within 5 business days. This process works best with a personal email address and high speed internet in order to download the mP3. If clients wish to bring in their own digital recorders or smart phones they may do so as well. NOTE: At times beyond Jennifer`s control, her recording system does not record properly due to internet availability. Jennifer does her best to keep her system running smoothly but blips do happen from time to time. Jennifer is not responsible for lost recordings. Q: How many times do I have to see Jennifer? A: There is no hard and fast rule here. It is always up to the client to decide. The work is designed to be stand alone. Clients will receive value, return on their investment from their very first visit. 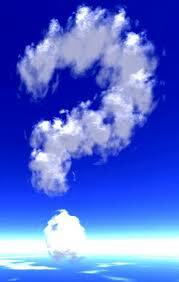 Q: What is the difference between the consultations/coaching/readings versus a healing session? A: Essentially, in the consultation, coaching and readings, Jennifer is offering you her counsel and her intuitive advice if you are open to it. In the healing journey, the client is doing the work and healing themselves inside out with Jennifer’s help and instruction. All the client needs to have is a willingness to work on themselves and an open mind. The journeys are powerful tools for change and creating the life you really want. They are personal experiences with aspects of your-Self and Spirit. They are considered sacred by the Algonquin people who created them and Jennifer is honored to be able to offer them to you. Q: What healing sessions do you recommend? A: All of them! They are all designed to work healing your wounded archetypes and limited thinking and shift lacking conditions in your life. Jennifer suggests the four following in particular: Power Retrieval, Healing Inner Sorcerer, Healing Wounded Contracts and Destiny Retrieval. Q: What if I want Jennifer to do the work for me? A: Jennifer can do an ‘interconnected” or long distance healing session with your Higher Self. First, she asks permission to do the work. She then will energetically connect to the parts of you that need help or healing and offer the necessary correction. Afterwards, she will email you the results as she’s experienced it on your behalf. Interconnected work is very powerful in particular with children and teens. Clients would book and pre-pay for a healing session. Q: Does Jennifer give insurance receipts? A: No, the work does not qualify for group health insurance benefits at this time. However, if you are self-employed, she can provide you a receipt for a coaching session that you can use for your tax return. Q: How does Jennifer use personal information she collects online? Jennifer Clark and Jennifer Clark & Associates is the sole owner of the information collected on this website. Your information is not shared with others. Personal information collected on our Appointment Plus on line booking system or for our newsletter is collected for purposes of connecting with potential students and clients only. Per recent GPDR guidelines, you have the right to access any personal information we hold about you and to ask that your personal information be corrected, updated, or deleted. If you would like to exercise this right, please contact us through the contact information above. Please note that if you are a European resident and place an order with us, we process your information in order to fulfill contracts we have with you or to otherwise pursue our legitimate business interests listed above. Additionally, please note that your information will be transferred outside of Europe, to Canada for us to be able to do this. This web site may contain links to other sites. Please be aware that we are not responsible for the privacy practices of other sites. We encourage you to take the time to read the privacy statements of each and every website that collects personally identifiable information. This privacy statement applies solely to information collected by the www.jenniferclark.ca website. No medical claims are made as to the effect or outcome of any of the services provided on this website. The services presented by Jennifer Clark and Jennifer Clark & Associates should be viewed as a complement to, rather than a replacement for, traditional medical or psychological approaches. Each person is encouraged to be responsible in the use and choice of professional medical or psychological healing assistance as needed. Jennifer Clark does not diagnose or treat disease or psychological conditions. Nor does she prescribe any form of medicine including but not limited to herbs, vitamins, essential oils, homeopathic remedies or supplements. Information provided on this website is not designed to diagnose, cure or prevent any disease or replace professional counselling or psychotherapy.